By Sam Smith | 5.12.2015 | 8:42 p.m. 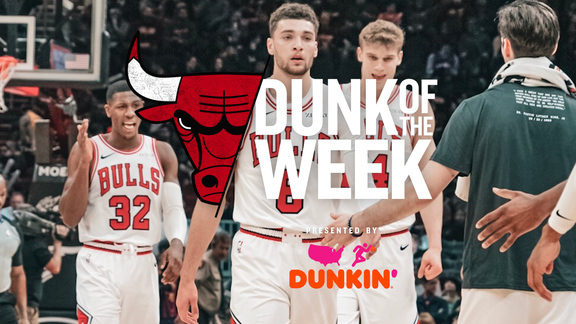 The Bulls almost pulled off a miracle comeback down the stretch, charging back from a 17-point fourth quarter deficit with a shot to take a lead in the last minute. It failed and the Cavs held on for the 106-101 win. The victory gave the Cavaliers a 3-2 lead in the Eastern Conference semifinal series. Game 6 is in the United Center Thursday. The Bulls were led by Jimmy Butler with 29 points and nine rebounds. Mike Dunleavy had 19 points, 17 in the second half comeback, while Derrick Rose had 16 points, nine rebounds and seven assists. LeBron James led Cleveland with 38 points, 12 rebounds and six assists. Kyrie Irving had 25 points. The Bulls started fast, pushing the ball for an 8-0 lead and 18-8 before the Cavs regrouped behind James and timely three-point shooting from their guards to take a 25-24 lead after one quarter. The Cavs behind James sprinted out to start the second quarter to take a 35-27 lead. James would have 24 in the first half for a 54-44 Cavs halftime lead. The Bulls started strong after halftime with eight straight and on Mike Dunleavy’s shooting were within four late until a Cavs run pushed them ahead 80-68 making their last seven shots of the third. The Bulls got a 55-foot Nikola Mirotic three at the third quarter buzzer to head into the fourth trailing 80-71. The game then got away from the Bulls with Taj Gibson getting ejected in a scrum with Matthew Dellavedova and the Cavs blowing out to a 90-73 lead three minutes into the fourth. But, remarkably and perhaps surprisingly, the Bulls rallied back to even have the three pointer in the last minute by Jimmy Butler for the lead. 1. 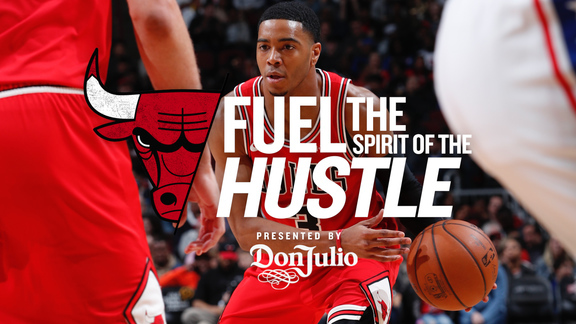 The Bulls behind Derrick Rose were pushing the ball to start as promised and throwing ahead on the wings to get more pace into their offense, though they stalled when LeBron James began pushing it back at them. 2. LeBron James clearly took it upon himself to drive his Cavs teammates, going into the post after the Bulls took an early lead and attacking full court at every opportunity to rally the Cavs after a fast Bulls start. 3. The Cavs got a huge boost from their backcourt, Kyrie Irving and Iman Shumpert with injuries. But they combined for 32 points through the first three quarters with four threes.